The holidays are just around the corner, which also means a new year is almost upon us. Although Microsoft treated us to an early release of Microsoft Office 2016 in September of 2015, Windows Server 2016 will not be released until after the ball drops in Times Square. To date Microsoft has not released a solid release date for the newest incarnation of its server operating system, but it is expected to be available publically within the first few months of 2016. When Microsoft pulled the plug on Windows Server 2003 support over the summer, many companies were forced to upgrade to the current version Windows Server 2012 R2. 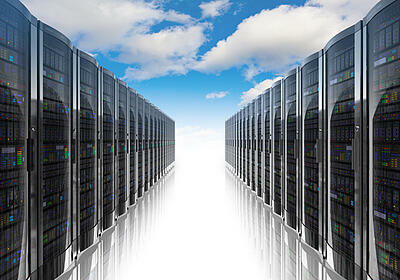 However, some companies are continuing to use Windows Server 2003 even though it is unsupported by its parent company. Others may have upgraded from 2003 a while ago but to Windows Server 2008. Regardless of what Windows Server operating system a company is using, there are some pretty nifty new features available in Windows Server 2016 that are worth making the upgrade for. One of the most talked about newest features of Windows Server 2016 is a new installation option called Nano Server. Nano Server is a minimal footprint installation version of Windows Server 2016. Being a minimalistic install, it lacks a graphical user interface along with support for console logon. To manage a Nano Server install of Server 2016, users access the Nano Server remotely through Windows Management Instrumentation (WMI) and PowerShell. Nano Server was designed with the cloud in mind. With its minimal footprint, Nano Server was designed for fewer patch and updates, better resource utilization, increased security, and faster restarts. According to Microsoft, Nano Server has a 93% lower virtual hard drive size and 80% fewer reboots as compared to the traditional installation of Windows Server 2016. These enhancements better support private clouds in-house as they allow for better virtual machine operation, with less draw on the physical server’s resources. To make migrating from one version of Server to another, Microsoft is introducing what they call Cluster Operating System Rolling Upgrade. Essentially the Cluster Operating System Rolling Upgrade allows an administrator to upgrade the operating system of the cluster nodes from Windows Server 2012 R2 to Windows Server 2016 without stopping the Hyper-V. Upgrades from one version of Windows Server to another can be done without having to shut the system down, which reduces downtime and make migrating so much easier. The only downside is that the rolling upgrade feature is designed for Windows Server 2012 R2 alone meaning smoother upgrades are not available for those moving from previous versions of Windows Server such as Server 2008. There are many new features available with the forthcoming release of Windows Server 2016. We’ll explore more in a later post and will keep you posted on when you can expect to install Windows Server 2016 at your company.